This entry was posted in dairy goats, nature. Bookmark the permalink. “Darling”, as my 2 year old would say. 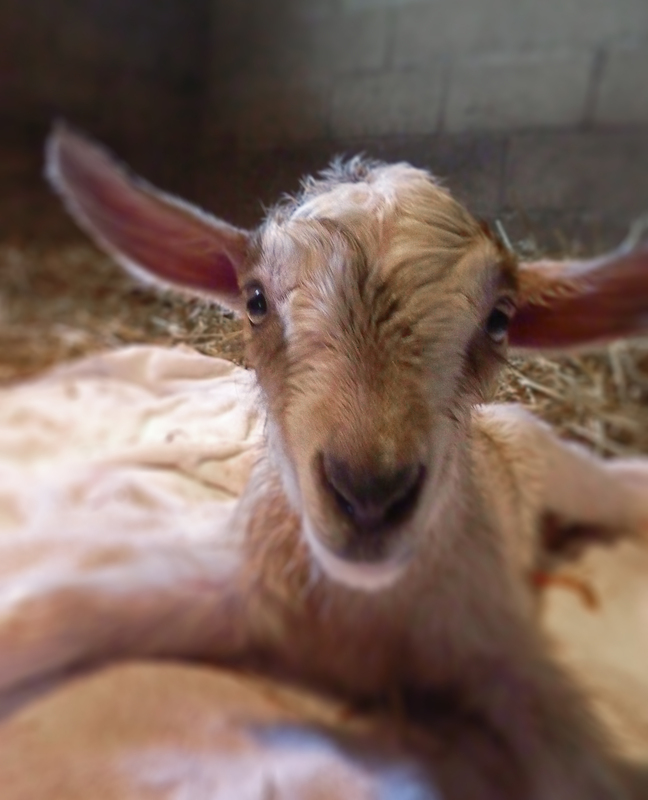 Good work, Willow and goat midwives! Lovely goatling, poor mama. I hope she enjoys having someone who really likes her around. Maybe the other goats will stop bullying now that she has a kid? Or she’ll get protective and stronger with them? She’s beautiful! I hope all her issues get straightened out. How about that ‘super moon’ theory? Congratulations! Sounds like they both landed in the right place for some TLC, here’s hoping she continues to thrive and mom gets a little confidence with the other herd members.